Reliance Partners is one of the highest-scoring businesses with standout employee engagement featured in June 2017 issue of Inc. Magazine. 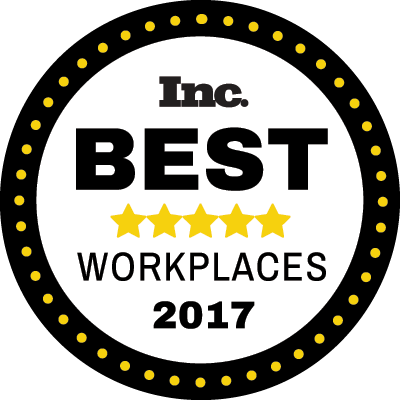 Reliance Partners, a commercial insurance agency, has been named one of Inc. magazine’s Best Workplaces for 2017, the publication’s annual ranking in the fast-growing private company sector. Hitting newsstands and online today in the June 2017 issue, the list is the result of a comprehensive measurement of private American companies who have created exceptional workplaces through vibrant cultures, deep employee engagement, and stellar benefits. Out of thousands of applicants, Inc. singled our Reliance Partners’ success in this area.